Whether a student is in elementary school or University, one of the most common tasks every student faces is an exam involving facts and figures. Unlike many abstract concepts that are simply understood or not understood, facts and figures require a certain amount of basic memory skills. For many students who have poor memory but are otherwise intelligent, these tests are particularly difficult. Memory Lifter is an impressive, unique software package that incorporates the Leitner card box algorithm - a special approach of presenting flash card information in a way that encourages and enhances the ability of a student to remember the information on those cards. The software uses many senses, including images, audio and video, to make an impression upon the memory of a student. When you first set up and run the Memory Lifter software, you'll see a main screen laid out in a simple and organized way. Each of the menu items on the left, including your past learning statistics, the learning modules you've loaded into the software, and even news and a recent history of your past studying efforts. Memory Lifter is a versatile flash card software application because, while there are certainly both free and paid premade flash card learning modules that you can download from Memory Lifter servers, you can also use the program as a free tool to create your own flash card presentations. This feature of the Memory Lifter program is particular powerful because of the many types of media you can incorporate into your own flash card presentations. When you click on "Learning Modules" in the left menu bar, you'll see your entire learning module library. If you click on "My Learning Modules," you'll see all of your installed learning modules displayed in the right pane. However, there are only a few learning modules pre-installed with the application, so the odds are pretty good that you'll want to search for and download additional modules. To do this, click on the "MemoryLifter Online Shop" icon. As long as your computer has Internet access, the software will immediately connect to Memory Lifter servers and provide you with a listing of the available flash card presentations. You'll find that while there are many modules that have a price associated with them, there are also a fair amount of high quality free flash card learning modules as well. The Flash Card system used in this application incorporates a number of different formats and alternates them so as to keep the student's mind from fading off of the subject over time. In the example shown here, the slideshow is on World Capitals and this particular flash card offers an image of the country's flag and a multiple choice answer. 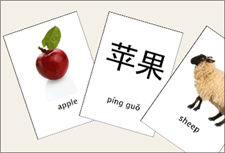 Other flash cards, such as the one shown here, offer a slightly different method of answering. This alternating method keeps students engaged and interested. Incorporating more than one type of answer format also prepares the student for the sort of questions that they'll face on a typical exam. By not always prompting the student with answers and offering the ability to type in text in an open ended way, it pushes the student to consider all of the possible answers rather than depending on the test to provide the answer as a multiple choice every time. What makes MemoryLifter one of the most innovative flash card applications available is the variety of media formats available in the flash cards. Most of the flash card applications usually provide very limited options in the type of content available for slides. However, MemoryLifter incorporates not only images and text, but also audio. For example in the Languages slideshow, the text question is displayed, but also a voice states the required translation phrase in English. It's up to the student to determine the Spanish translation for the word. This helps students remember because they are using multiple forms of input in order to determine the correct output translation. This will make it easier to recall the translation later during spoken conversation. During each flash card presentation, you can glance up at the status bar that's displayed at the top of the screen for a breakdown of your progress. This status bar shows how much of the module is completed, the current topic under review, and the number of correct (happy face) or incorrect (unhappy face) answers you've achieved. During the flash card presentation, there's also a display at the bottom of the screen called the "card stack." This is the stack of incorrect answers that you've made. This area "stacks" up the missed flash cards for review later in the module. This allows for a repeated approach which is more likely to ingrain the correct answer into the student's mind, even if the initially didn't know the correct answer the first time around. Of course, the real power of this application comes from its ability to create brand new flash card presentations from scratch. You can generate flash cards using text, images, sounds and more - and this powerful application is absolutely free. When you first create a new module, you'll be prompted to name the module and select a category for it. This helps to organize your modules if you accumulate a large number of them over time. The tool that you can use to create each of the flash cards in your complete module is fairly powerful, but it is also incorporated into one place. On this one screen, you create both the question and answer sides of the flash card. There are buttons that let you incorporate audio, video or image content. This lets you make your slideshows as impressive and interactive as you would like. While the learning curve for the MemoryLifter software can be a little bit steep depending on what you want to do, the flexibility and the features that are provided clearly make it one of the best free flash card applications in the market today. Whether you're an educator or a student, this application is sure to become an invaluable study tool. Please help me to sent this interesting game. I need to improve my daughter capability for reading. Thanks for your help. I want some aducational free software for my kids.